Darren Wilson married: Recently wed fellow officer Barbara Spradling. 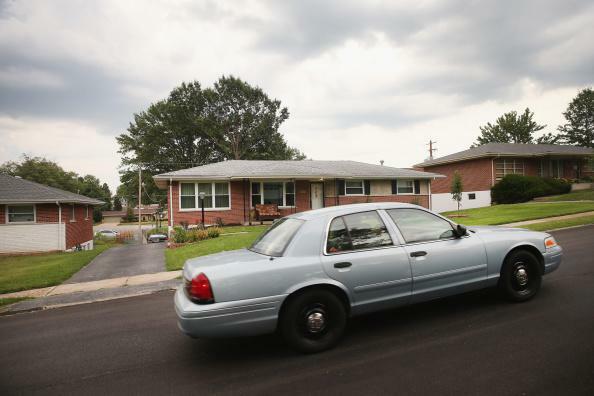 Darren Wilson’s home in Crestwood, Missouri. The couple obtained their marriage license in Clayton, Mo., outside St. Louis, in the recorder of deeds office on the fourth floor of the Lawrence K. Roos administrative building, steps away from the courthouse where the grand jury has been meeting. It’s not clear where the wedding took place. The couple owns a home near Ferguson but has not been seen there recently. Wilson and his first wife, Ashley, divorced last year.